Weddings expert Tony Conway weighs in on the best wedding registry options—and how to make the process romantic. Wedding registries have come a long way since the days when your only option was to show up in a store with a pen in hand. But it still takes time. If you’re ready to sign up for a wedding registry, set aside time to consider all of the many options before you commit to anything. “First, you have to identify the things that you and your partner really want or need,” says Atlanta-based weddings expert Tony Conway of Legendary Events, one of the leading wedding design and production companies in the U.S.
“Don’t be embarrassed to consider big ticket expenses on your wedding budget, like your honeymoon, your dress, the wedding reception, or even the wedding itself,” he adds. “These days it’s common to ask for cash gifts to help pay for them—and thanks to some online registries, there are very creative and fun ways to do it! One thing to keep in mind as you consider different wedding registries is that not all of them have the same return policies. We’ve outlined some of those policies below, but make sure to check on the most updated policies before you register, as they may change. Otherwise you may find yourself stuck with store credit when you’d rather get cash back. You can choose from a wide variety of appliances, linens, towels, and other things from many brands on Bed, Bath & Beyond’s wedding registry. This is a reliable option if you’re looking for a wider range of price points than some of the more stylish department stores. If you change your mind about wanting something after it has been purchased, you can return it for store credit or a corporate check. Looking for a new TV, computer or camera? You can add all of those to your wedding registry at Best Buy using their app — and keep adding on things as you think of them. You’ll find fashionable items by Ralph Lauren, Waterford, and many other brands on the Bloomingdale’s wedding registry, as well as things like small appliances. Note that items can be returned for store credit only. The store also has a partnership with The Leading Hotels of the World; if you choose to stay at one, you can get a complimentary couple’s massage, dinner for two, 5,000 Delta Sky Miles, and more fun goodies. It’s nice to begin your new life together in an organized way, and The Container Store’s wedding registry enables you to do it easily with its pretty, colorful, and extremely useful products. As a perk, you can also get 10% off of some items. From elegant placemats and high-quality silverware, to small appliances and furniture, Crate & Barrel’s wedding registry has something for every room in your home. When you sign up for the registry, the store will give you a set of drinking glasses and a linen bag as a “thank you” gift, as well as free “save the date” cards from Paperless Post. Crate & Barrel brick-and-mortar stores also hold Sunday morning “wedding parties” for groups of couples, when you get the store to yourself so you can run around scanning items. Kohl’s wedding registry includes more expensive and more affordable items, which is nice for guests who want to make more modest gifts. You’ll earn 10% in Kohl’s gift coupons on all the gifts purchased for you, up to $200. Anything with a receipt can be returned for a full monetary refund; without a receipt you can get store credit. You can find housewares, small appliances, bedding, luggage, and more at a range of prices on Macy’s wedding registry. If you have a Macy’s Star Rewards card, you’ll earn points for registry items that guests buy, up to 10% of your total. Note that you can only return items for in-store credit. Neiman Marcus’ wedding registry is great for couples looking for stylish accessories, formal and informal high-quality tabletop items, and fine linens, among other things. Expect to find top brands like French-made Christofle Malmaison silver and Baccarat crystal vases. Pottery Barn’s wedding registry has a variety and price points. You can also add monogrammed housewares—always fun— but you can only exchange gifts or return them for store credit. Up until six months after your wedding, you can get a 10% discount on any items that guests didn’t buy, as well as any other items you want to add. With RH’s wedding registry you can take advantage of a 10% discount on any gifts you didn’t receive from your list, up to one year after your wedding. The brand offers fine furnishings and home accessories, as well as things like outdoor patio furniture, linens, and fire pits. Sur La Table has more than 9,000 cooking-related products, making it a food lover’s paradise. Some are from brands that you can find elsewhere, but some are exclusive to the store. When you sign up for the wedding registry, you become eligible for in-store cooking lessons, plus a 10% discount on any registry items that your guests don’t end up purchasing for you. At Target your best bet is to start the Target wedding registry process on their website, then go to a store if you want to see items in person. If your guests pay for gifts using cash, you can return them for cash using the receipt; without the receipt you can get a store gift card. You can also get a 10% discount on items remaining on your registry after the wedding. Think cookware, small appliances, towels, bedding, digital cameras, and furniture. For fine tabletop items, writing instruments, silver mirrors and picture frames, jewelry, and small leather goods, Tiffany & Co.’s wedding registry sets a high bar. If you want white glove treatment, you can schedule a registry consultation in person at the New York City store. The website includes a Wedding Guide with gift ideas for everyone in the wedding party. I love Wayfair’s stylish traditional-modern online shop. The Wayfair wedding registry includes everything you can imagine for the home. It also includes free shipping on any item, no matter how small. They offer a customizable checklist and specialists that will talk with you about your planning. Now’s your chance to order that gorgeous bright green mixer or other professional cookware that you’ve always loved! With the Williams-Sonoma wedding registry, you can book an appointment with a specialist, who will even demonstrate how to use appliances after you receive them. Note that you can only return items for store credit. You can get 10% off of registry items your guests didn’t purchase, for up to six months after your wedding. If you’d rather have guests donate money to charitable causes of your choosing, consider the I Do Foundation, which is a branch of JustGive.org. You can select the cause (e.g. Autism) and guests can choose from a list of nonprofit organizations working in that field. “Another option is to select a few charitable organizations you like, and simply let guests know that you’d appreciate donations to them in lieu of gifts to you,” says Conway. When you think of everything sold on Amazon.com, you realize that this is one wedding Amazon wedding registry where you can really think outside of the traditional box. From outdoor grills and luggage, to tents and sleeping bags, there’s no end to the fun things you can add on. We like how Blueprint’s wedding registry website includes fun drawings of different rooms of a house, to help guide you through the gift selection process. It also has cute photos and categories to collect funds towards things like your wedding day expenses, honeymoon—even a kitchen remodel. With more than 200 brands, this wedding registry is one-stop shopping. You can even add food gifts from brands like HelloFresh and OneGirl Cookies. “Experience gifts” can include things like museum memberships, dance lessons, and more. The Zola online wedding registry allows you to curate your own gift list from many brands, as well as set up a honeymoon fund to help pay for the trip. For every $100 that a guest gives, you get $97.35 (the rest is for Zola’s credit card processing). We give the site a thumbs up for being very well-designed and well-organized. Hatch My House is an innovative online registry where you you use tools to “design” your house,then show guests projects where you could use their help to pay for expenses. It’s a nice way to ask for cash gifts, and you get to decide whether you, or your guests, will pay the 5.9% transaction fee. On the Tendr registry website you set up a personalized page, and guests can create a digital card for you, add a personal note, and send you cash with the push of a button. It’s simple, easy, and friendly. Honeyfund is a free online registry where you can set up a page, letting people know about great projects or goals you have as a couple so they can help fund them (even for a down payment on a new house). If you want to pay a $40 fee, you can also add a slew of design features to make your page look even better. 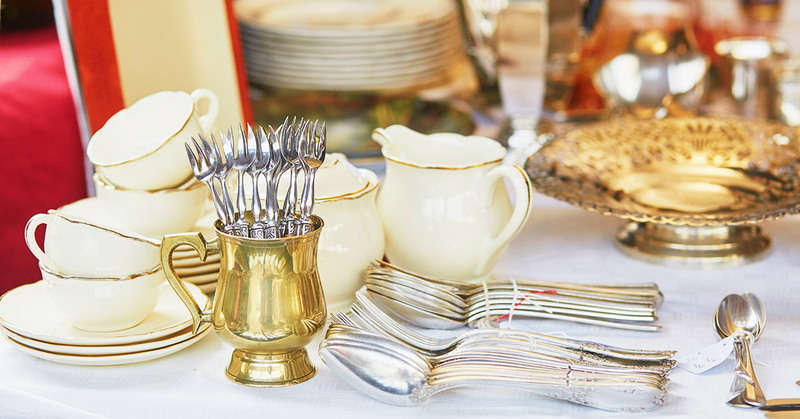 Got burning questions about wedding registries? Leave a comment and I’ll ask Tony to answer it! Hi, thanks for this info. I have a query – I’m looking to build a donation wedding registry website for a client on WordPress . Any idea where can I get the theme or plugin from? I’m unable to find it anywhere. Would appreciate your help in this regard. Thanks – Rohit. Hi, Rohit. Sorry for the delayed reply. Do you mean a registry site where the only things on it are donations that guests can make to charitable causes?